Aussie five-piece Karnivool are finally back with a follow-up to 09’s incredible full-length ‘Sound Awake’. ‘We Are’ was released as a teaser last month picking up exactly where ‘Sound Awake’ concluded, but is ‘Asymmetry’ just another rehash of previously covered ground? 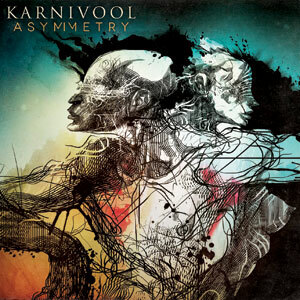 There’s no mistaking this is a Karnivool record; it’s progressive with singalong choruses, aggressive, layered (‘A M War’) and bass-heavy, but this time around there’s more screaming and distortion a la ‘Jupiter’-era Cave In (‘The Refusal’), which somehow compliments the more melodic tracks here and only adds to what’s on offer.